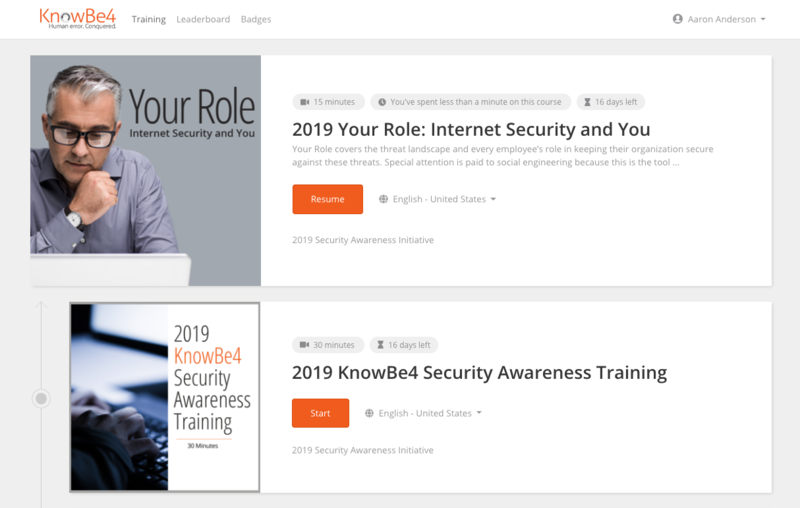 KnowBe4's learner experience (LX) offers customization ability and optional new features that bring engaging and fun gamification to your security awareness training plan. Your users can compete against their peers on leaderboards and earn badges while learning how to keep themselves and your organization safe from cyber attacks. An informative, optional tour is also provided to show your users around and make them feel comfortable with their new learning environment. Read below to learn more about these features, or watch our LX videos on our Tutorial Videos page. The below steps will explain how to set up your new LX. Click here to view a short video explaining these steps. Log in to your KnowBe4 admin account. Navigate to your Account Settings by clicking your email address on the top-right. Scroll down to the Company Information section to add a Company Logo for Console. Adding a company logo is important so that your users will see a familiar face when they first log in for training. See more about adding your company logo here. Scroll to the Learner Experience section. Set an optional main theme color that matches your logo. This will brand your LX for your end users and match your organization's color scheme. Click the checkbox next to Enable badges if you’d like to try out our Badges feature. Click the Leaderboard type drop-down and select Group Leaderboard to try out the Leaderboard feature. Select a Leaderboard time period. You can select from the following: Past 30 Days, Past 90 Days, Current Quarter, Current Year, or All Time. Any enrollment that was active during that time period will be included in the leaderboard rankings. Select groups that you'd like to include in your leaderboard in the Groups to include in leaderboards drop-down. You can select between 3 and 25 groups. Click Update Account Info at the bottom of the page to save your changes. 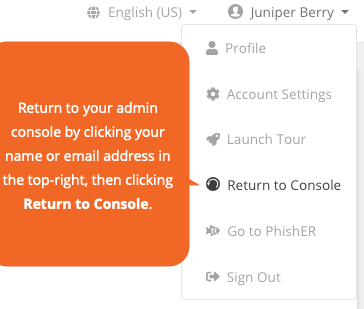 While in the new learning experience, you can navigate back to your KnowBe4 admin console at any time by clicking your name (or email) in the top-right and selecting Return to Console. 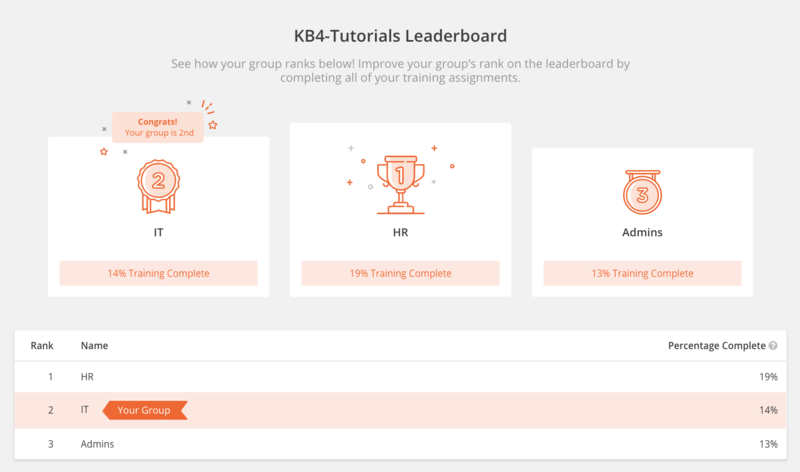 KnowBe4’s new LX offers optional gamification, in the form of leaderboards and badges, so your users will be incentivized and motivated to take their assigned training. Gamification is the addition of gaming features or principles to something that typically does not have a gaming element--in our case, security awareness training and e-learning content. Gaming features can include badges, points, rankings, rewards, and more. Gamification has been shown to improve user engagement by increasing people’s inherent ambition to compete, achieve, or master. When people are motivated to complete a task, they learn better and retain more information. KnowBe4’s addition of gamification includes leaderboards and badges. Leaderboards allow users to see how they rank up against their peers, promoting friendly competition. 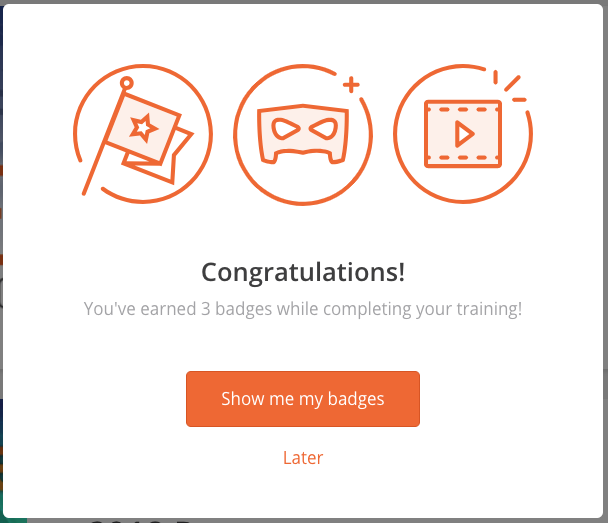 Badges will provide users with unexpected rewards after their training to remind them that they’ve accomplished something important. Continue to read below for more details about leaderboards and badges. Click here to watch a short, animated video explaining gamification in the KnowBe4 console. Want to learn more about gamification in general? See Wikipedia: Gamification. The Leaderboard tab provides a way for user groups to compete with other user groups in your organization. You can include up to 25 user groups in your leaderboard. The selected groups will appear in your leaderboard rankings and users in those groups will be able to view the leaderboard. You must select at least three groups to use the leaderboard. When using leaderboards, the most important item to consider is how it makes sense for your users to compete in your organization--meaning, what groups should be included in your leaderboards, and should new groups be created specifically for your leaderboards? If you have a smaller organization with only one location, you may want to have users compete by what department they’re in. If you’re a larger organization and your users span multiple buildings or floors, you could have your users compete by what floor they’re located on or building they’re in. If your organization spans multiple states or countries, you may want to have users compete by their location, whether by state or country. If you are a new KnowBe4 customer and you haven’t set up groups yet, consider how the leaderboards function when you set up your groups. Remember, there is no limit to the number of groups a user can be in, so feel free to get creative with how you group your users. Platinum and Diamond customers can create Smart Groups to link several groups together in a single group. If a user is part of multiple groups displayed on a leaderboard, the interface will indicate that they are part of the group that is ranked the highest. Groups are ranked based on the percentage of training they’ve completed. The percentage completed for each group is calculated from the number of training assignments completed divided by the total number of training assignments. For example, if a group of 10 users is enrolled in a campaign that has two training modules assigned, this would equal 20 training assignments. You can select the range of time that you’d like the leaderboards to display rankings for from within your Account Settings area. Any enrollment that was active during that time period will be included in the leaderboard rankings. Select from: Past 30 Days, Past 90 Days, Current Quarter, Current Year, or All Time. 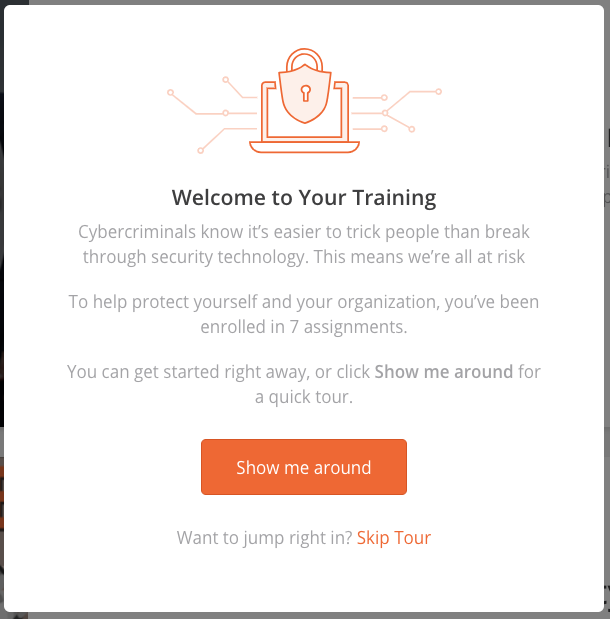 Badges add engagement to your security awareness training plan by providing an incentive for your users to meet specific achievements while taking their training. Each badge has requirements associated with it. Once a user meets these requirements, they’ll receive a pop-up indicating they earned a badge. They can click the Badges tab to see what badges they’ve received and what badges are still available. You must enable badges in your Account Settings to turn them on in the new LX. By default, all badges will be included, but you can remove badges you don’t want to include from your Account Settings area. Badges do not work retroactively. For example, if your user met the requirements for a badge prior to you enabling badges on your LX, they wouldn't earn that badge until they met those requirements again. The user completed an assignment. The user worked on the assignment in the evening (8 p.m. - 2 a.m.). The time recorded takes into consideration the user’s time zone, determined automatically from their browser. The user worked on an assignment early in the morning (2 a.m. - 8 a.m.). The user was one of the first 10 users to start an assignment. The user was first to complete an assignment. The user started their first assignment. The user downloaded their first completion certificate. The user completed three assignments in within a 24 hour period. Upon their first login, your users will be invited to take a quick tour to show them around their LX. They can skip the tour if they’d prefer. The tour can be re-launched at any time. To do so, your users will click their name (or email) in the top-right and select Launch Tour in the drop-down. Users who log in after three months of inactivity will be prompted to take the tour again, to refresh their memory of how to use the interface and introduce any new features that may have come out since they last logged in. A short, optional User Profile tour is also available when the user navigates to their Profile from the top-right drop-down. This tour does not launch automatically--from their User Profile, your users can launch the tour by clicking the Show me around button. Click here to view a short video explaining the user profile area. You can set the main theme color for your LX and upload your company logo from within your Account Settings. We recommend that you match your main theme color to your organization’s logo to provide a familiar feeling for your end users. Notifying users, especially those that have taken training through the KnowBe4 console in the past, that the learner experience has changed. Ensure you read through the template before sending, as some of the proposed text may not apply for your organization. Make any changes as appropriate for your organization. As you may be aware, [[company_name]] partners with KnowBe4, a leader in the cybersecurity industry, to deploy security awareness training. Recently, KnowBe4 has added optional gamification, in the form of badges and leaderboards, to its learner experience. Gamification has been shown to improve engagement by supporting a user’s natural ambition to compete, achieve, or master. When people are intrinsically motivated to complete a task, they learn better and retain more information. Click here to watch a short, animated video explaining KnowBe4's addition of gamification. [[company_name]] will be using the gamification option and will have badges and leaderboards turned on for our account. We are excited to see how this upgraded learner experience will motivate our users and support our defense-in-depth plan. Next time you log in for assigned training, you’ll notice some fun changes to your online learning environment. KnowBe4, the organization we partner with for training, has added gamification features that you’ll want to check out. Leaderboards - The leaderboard will show you how you rank up against your peers. Completely finish all of your training assignments to boost your group’s spot on the leaderboard. Badges - You can now collect badges as part of your training assignments. 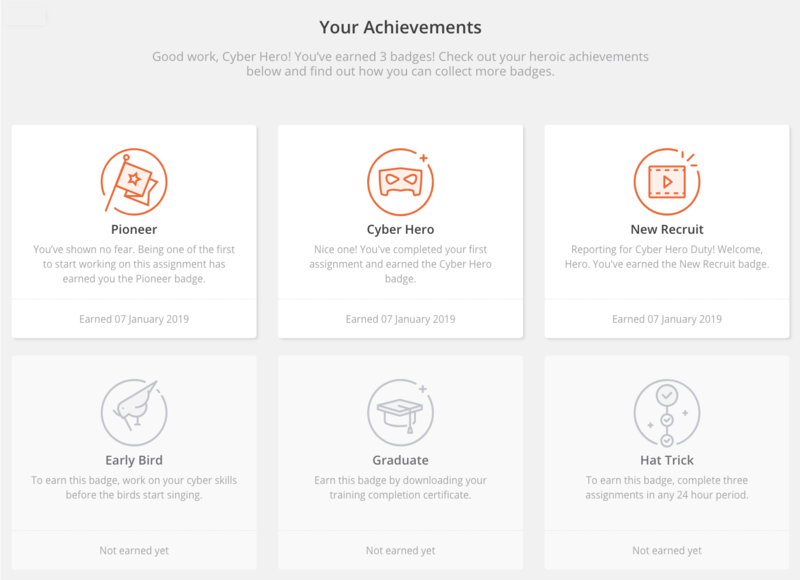 Build up your Cyber Hero trophy case by meeting the requirements of each badge. We will notify you when you’re enrolled in training next. Have fun, and be sure to let us know your thoughts on the new learning environment. 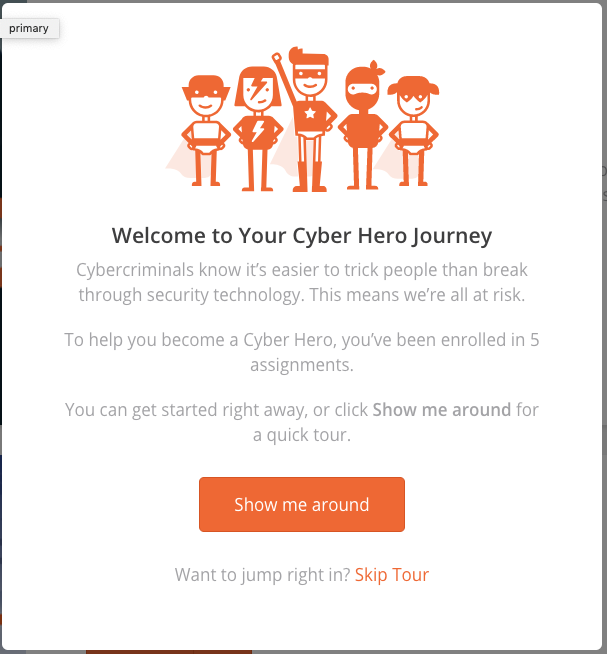 New training notifications are available to support your new Cyber Hero LX. These can be found by navigating to Training > Notification Templates > System Templates and searching for Cyber Hero in the training notification search bar. 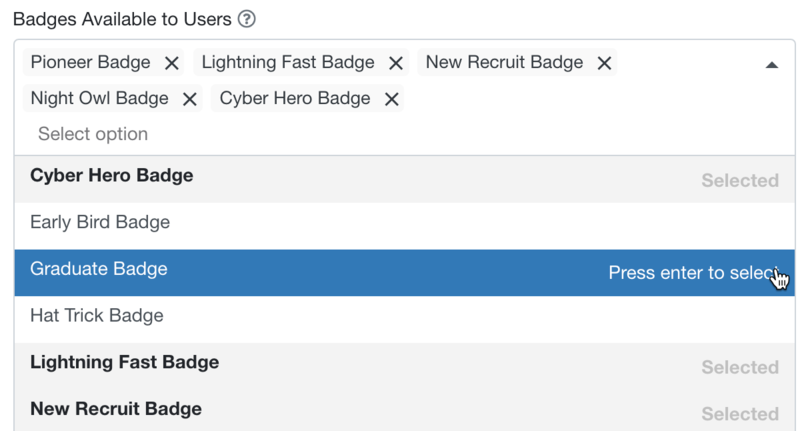 If you're not using badges and leaderboards as part of your user training, we recommend using our standard notifications--i.e., those not labeled with (Cyber Hero). Why is KnowBe4 adding gamification? Gamification has been shown to improve user engagement by increasing people’s inherent ambition to compete, achieve, or master. When people are intrinsically motivated to complete a task, they learn better and retain more information. Click here to watch a short, animated video explaining gamification. Can I see what badges my user has received, or where they rank on the leaderboards? No, user badges and leaderboards are only visible to users and will not be viewable by admins or available in reports. How can I return to my admin console while in the new user learning experience? Click your name or email address in the top-right and click Return to Console. How are leaderboard ranking determined? Each group's ranking is determined by the percentage of assigned training completed by the group members. All groups that have a 100% completion rate will be ranked depending on how fast all users within that group completed the training.